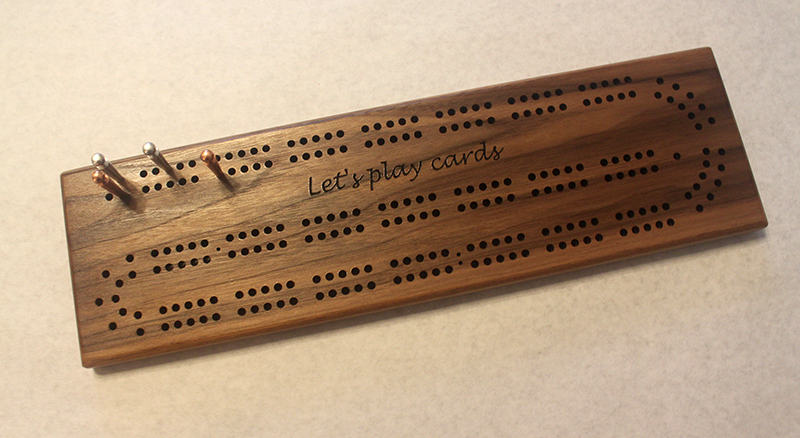 A large-hole two track engraved continuous board in a range of wood species. This engraved board measures 17 inches by 5 inches. It features two continuous tracks, with a long space for engraving. It comes with six giant metal pegs, which live in a pocket in the back with a sliding brass plate. 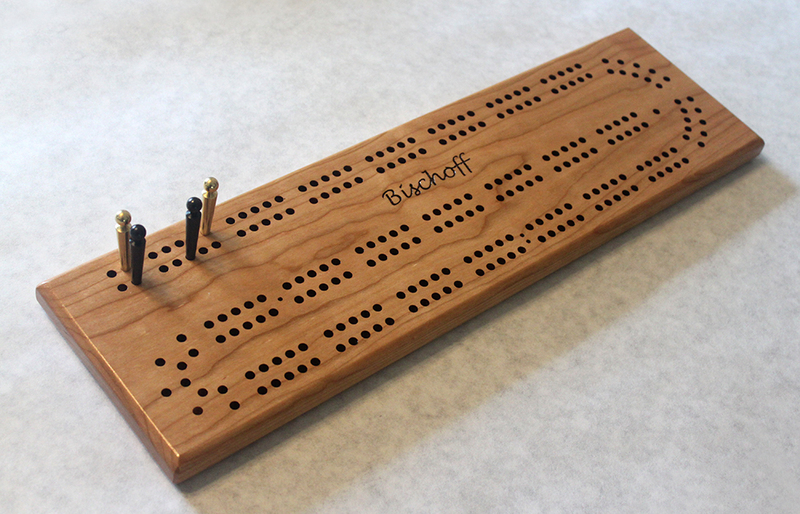 We also have a standard-sized version of this board that uses our standard pegs. Click here for details.